We all know that the chevron pattern has been hot the past couple years. Don’t get me wrong, I love chevron. I might love it too much. 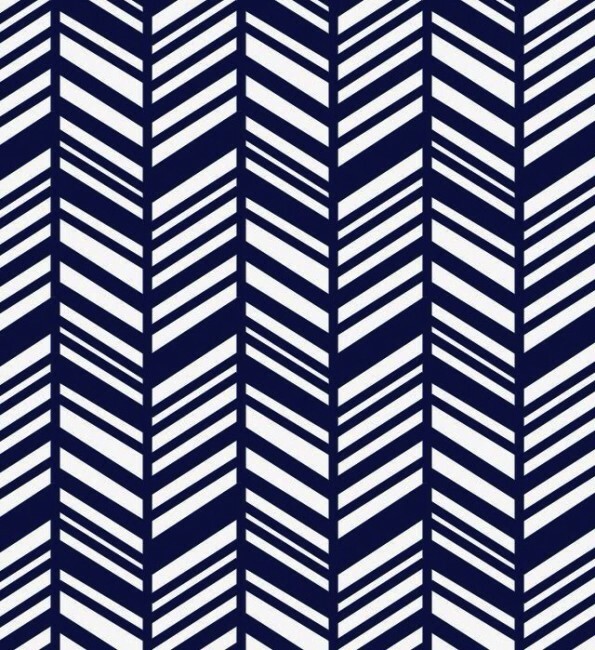 My eye instantly goes towards anything with the iconic zig-zag pattern. However, I also think there is room to expand my horizons and embrace some new up and coming patterns that are being used by designers and hitting stores. This delightful pattern is very close to chevron with the addition of vertical lines and alternating of the color blocking, so it makes it very easy for chevron lovers to transition. You can vary the thicknesses of the lines for an even more playful and varied look. Herringbone provides a fresh spin to the tired zig-zag look that’s been gracing everything from throw pillows to maxi skirts. Like it’s sister, this fresh pattern is fun but also ups the sophistication level and is a great choice when thinking of what texture to throw into your design. Many interior designers are now turning to this design over chevron as a go-to pattern. It can be incorporated into basically everything, from the way you lay your floorboards to stenciling on a lamp, table or rug. 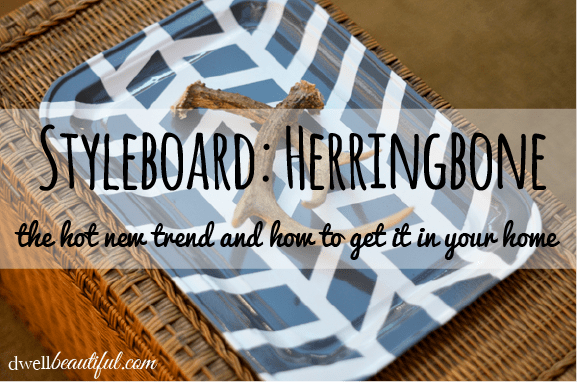 Take a look at the pictures below for inspiration and start giving herringbone a little lovin’! There are TONS of Pinterest projects on how to get this lovely texture into your home – check out the links to the pictures in the gallery above – a lot of them provide tutorials on how they got the look! It can be as easy as taking a sharpie to a piece of furniture or as in-depth as cutting and laying floorboards in the proper pattern. Choose a project and add some herringbone to your design life today! Do you like the up and coming pattern, herringbone, or would you rather stick to chevron? How would you use this pattern in your home?